Travelling for my elective placement in 4th year was one of the things I most looked forward to when I started dental school. 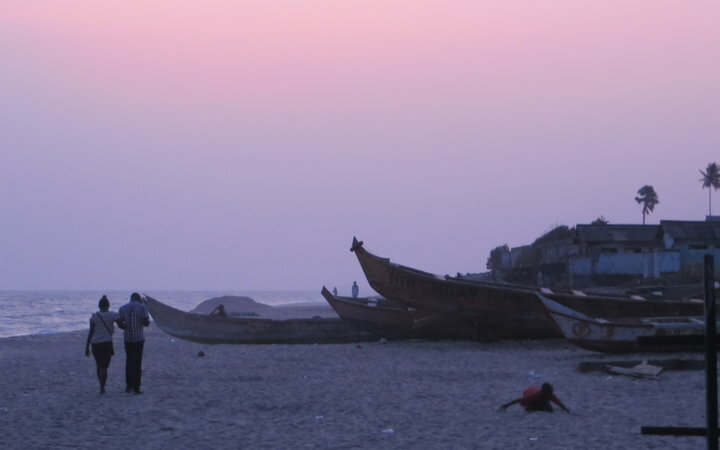 Having never left Europe, I decided to travel to Ghana to experience something completely different. 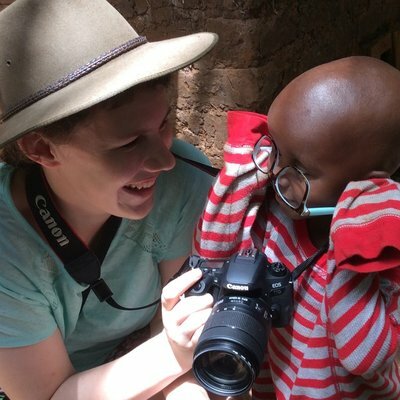 I wanted to travel to a low-resource country to see the differences in healthcare, but I didn’t feel confident enough to do so alone. Work the World offered the perfect solution, providing support in the country whilst meeting other healthcare students, being able to travel with them during the weekends. Work the World were incredibly helpful, and supportive of my placement from the first phone call. I had to do very little myself, but when I did, MyTrip—Work the World’s placement planning dashboard—gave me helpful reminders regarding how and by when I did need to make certain preparations of my own. When I arrived in Ghana, it was a relief to meet a member of Work the World’s Ghana team at the airport. The bustle of Accra (Ghana’s capital city) was a little overwhelming at first, but after a good night’s sleep, I felt refreshed and ready. We met the rest of the Work the World team and our new housemates when we arrived at the Work the World house. Everyone was incredibly friendly and welcoming. The following morning, the team gave us a welcome briefing that covered cultural differences and what we could expect during our city and hospital orientations later that day. The catering team made every effort to make sure we were happy with the food, which was absolutely delicious. The Ghanaian people were very direct, which was a bit surprising at first. But, we soon realised that this was just their way of being open and friendly. 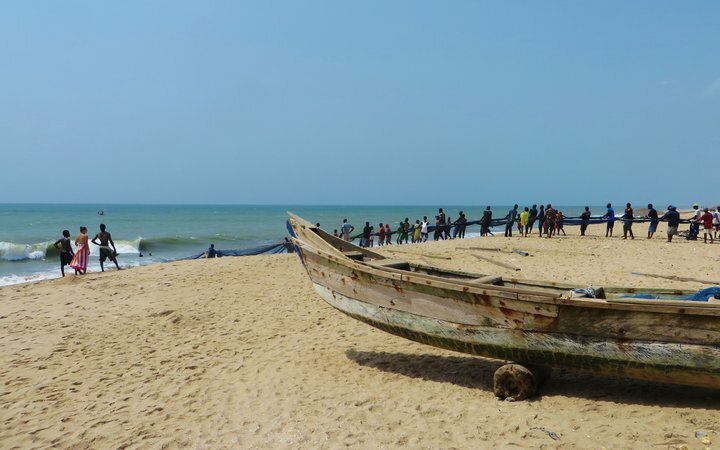 It also took some time to get used to the relaxed pace of things in Ghana, but once we embraced this way of life, it made us realise how often we unnecessarily stress about things at home. I will never forget my time in the dental clinic. The staff were lovely and did everything they could to provide me with the best possible experience. Local dentists’ knowledge and clinical skills were similar to what I was used to at home. But, there were striking differences when it came to patient management. Where in the UK we try to calm nervous children with soothing voices, Ghanaian dentists were much firmer. For example, adults often physically restrained children in the dental chair during procedures. 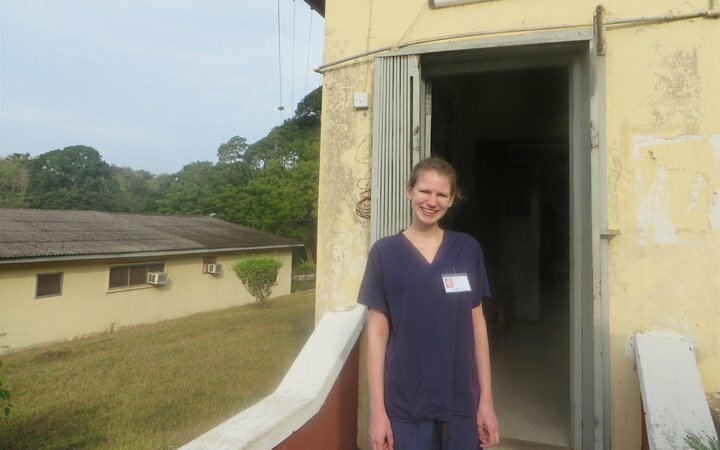 I spent 3 weeks in the clinic, and the only dental chair with functioning handpieces and scalers was broken—a consequence of the low-resource environment. One particularly memorable case was a man who came in complaining that his tooth had moved into the roof of his mouth. He had a swelling that had displaced the tooth into his palate and it was surrounded by exposed bone. He asked for it to be extracted, but the dentist explained to the patient that he needed to go to a bigger hospital to have a biopsy as he suspected a malignancy. The patient argued that he could not afford it and wanted the tooth out anyway. Ghana does have many of the same treatments available as we do at home, but many people cannot afford it. This was a saddening realisation for me. There was also a difference in how much local people understood about diseases and health more generally—the patient mentioned above didn’t seem overly concerned about his condition. In the UK, people are relatively well-informed about cancers, and often look up diseases before seeking a dentist. Many people said ‘yes’ when asked if they had pain from their teeth, and the number of people who hadn’t done anything about it surprised me. I was incredibly lucky to have the opportunity to help with an outreach programme that did dental screenings at schools. This was following the Ghanaian government’s decision to give screenings to all students in the first year of senior high school. The outreach team consisted of people from several specialties, checking for dental, eye and hearing problems as well as blood pressure and BMI. 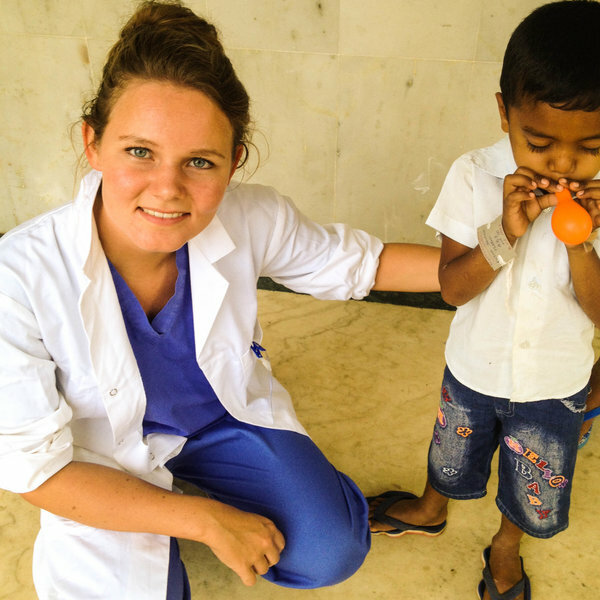 Undertaking the dental screenings were two physician’s assistants who had specialised in oral health. We did extraoral and intraoral exams, noting down the names of those with problems and advising them to visit a dentist. Many people said ‘yes’ when asked if they had pain from their teeth, and the number of people who hadn’t done anything about it surprised me. 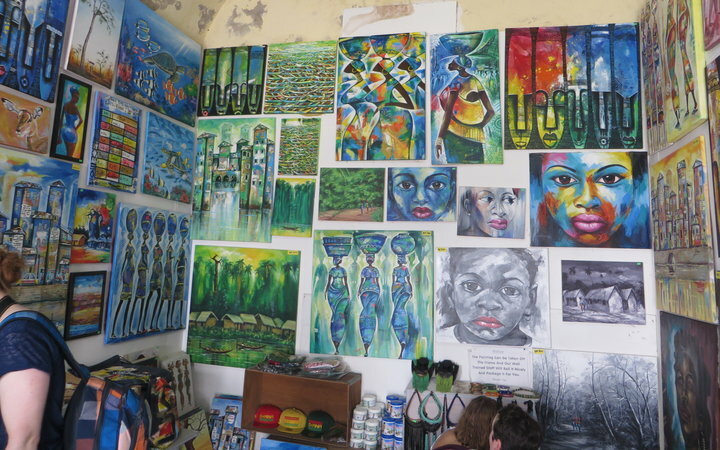 I explored local markets and visited some of Takoradi’s surrounding areas during my time off after placement. My housemates and I had clothes and bags made from the fabrics that we bought in the market. The Work the World team were full of great ideas when it came to weekend trips. 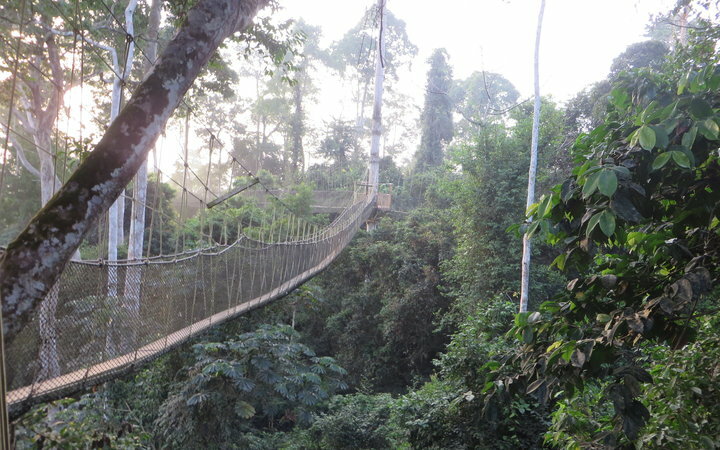 We went to Kakum National Park, where we stayed in a treehouse and walked through the rainforest canopy on a rope bridge. 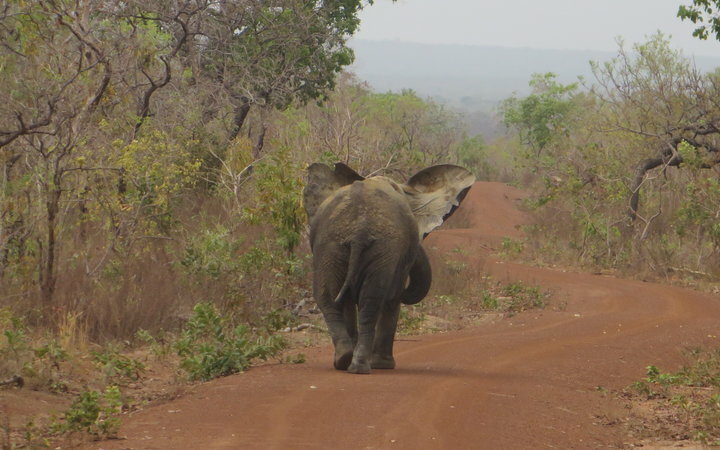 In Mole National Park, I went on safari and saw wild elephants and antelope. 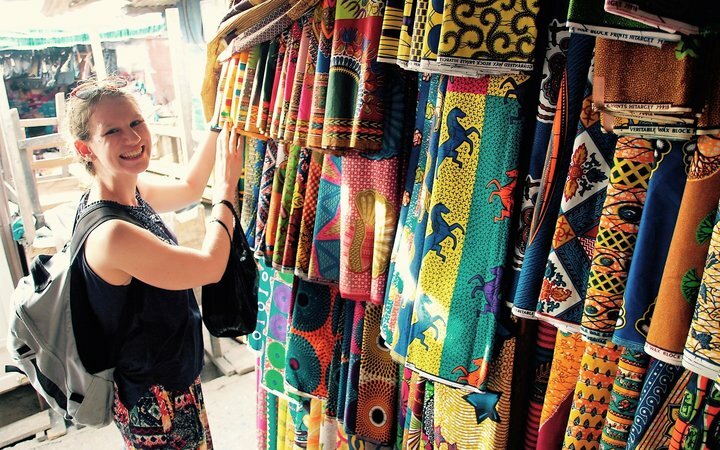 Ghana is a beautiful country with so much colour and life wherever you go. I also travelled into the north of Ghana and met some lovely people on the way, both Ghanaians and other tourists. This trip helped me gain a lot of confidence. I have always considered myself to be a fairly shy person, but travelling alone taught me that I had to be open and friendly in order to gain as much as possible. After several long coach journeys, I went to a village where one of my neighbours from the UK had lived for two years, and stayed with a Ghanaian family for a week. This was a completely different experience to Takoradi. 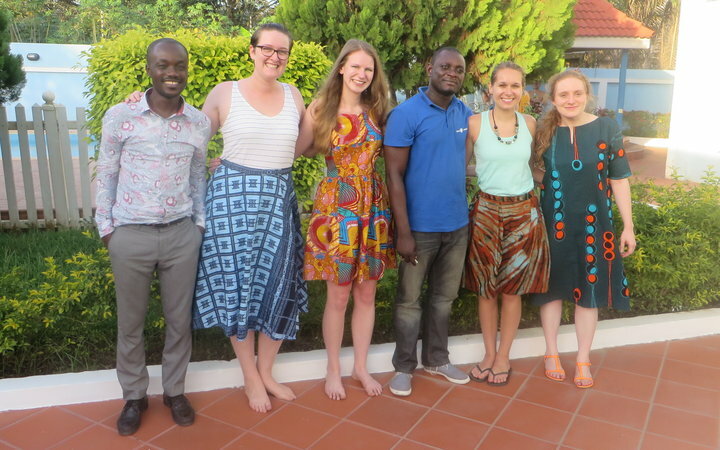 Living with a Ghanaian family and eating Ghanaian food, I felt totally immersed in local culture. 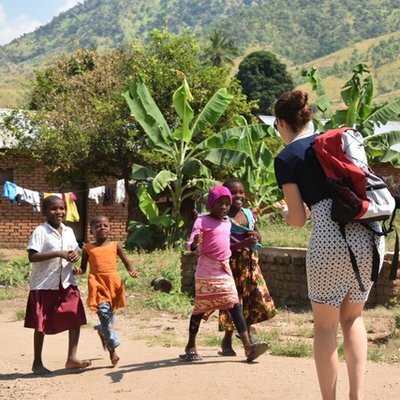 As I had the luxury of knowing people in the village, I decided not to do undertake Work the World’s Village Healthcare Experience with Work the World. However, I would definitely recommend you do if you want to experience rural Ghanaian life! I’ll never forget my placement with Work the World. I learnt so much and made amazing friends from all over the world.